For anyone deciding to travel to the US for the first time the thought of having to go through visa applications and, once you get it, all those endless controls at the airport can be terrifying. However, many people never get to that stage and their visa is simply denied by the United States. 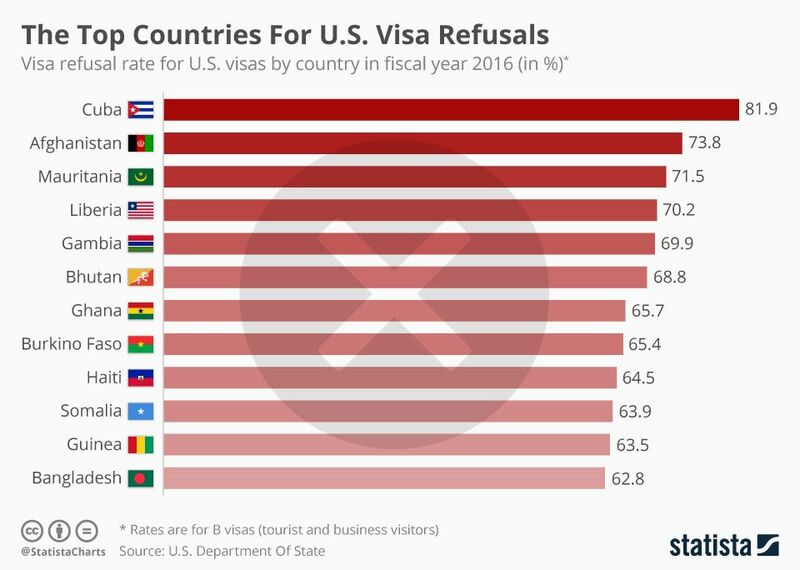 If you come from any of these countries, the odds of getting your visa approved to cross the border are even tinier.